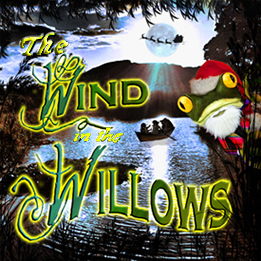 this year rain or shine have decided to go 'all out' and create two christmas extravaganzas revisiting our 2010 production of a christmas carol and our brand new adaptation of the wind in the willows! double the shows! double the fun! kenneth grahame’s classic story is for adults and children alike! witness and hear the tale of mole, ratty, badger, otter and the naughty, automobile loving mr toad to the resounding sound of “poop-poop” ! in this festive adaptation, the five friends come together at an anniversary party to act out and relive their adventures, taking on the roles of friends and foe alike, culminating in the liberation of toad hall from the dastardly weasels of the wild wood! a family show, suitable for everyone aged 6 to 106.
in the spirit of pantomime, you are invited to share in the journey of the miser, ebenezer scrooge, as he travels with the ghosts of christmases past, present and future. taken back to view forgotten images of his life and what might have been, scrooge discovers a hidden side to himself, and begins to realise the meaning of christmas and a new understanding of humanity. with surprises throughout, this adaptation of charles dickens’ classic tale is set in victorian costume with a cast of five playing a whole host of characters. you can be sure of an entertaining evening with a generous sprinkling of bah - humbug!” a family show, suitable for everyone aged 7 to 107.